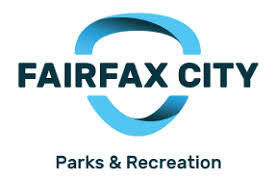 Fairfax is the hallmark of Northern Virginia; central to the Northern Virginia area and well-known beyond the state borders. Just minutes from the historic Old Town is George Mason University, the largest public research university in the state. Every year vendors and chocolate lovers alike come enjoy the Chocolate Lover’s festival full of fun activities and various chocolate flavors. In the summer, a walk-in water fountain and events for young children are just one example of the community atmosphere present even in a big city. Fairfax homes are seeing lots of new renovations and its time you finally have your dream home. HB Home Services can help you with your bathroom, kitchen, basement remodel, and much more. Learn more about our home improvement services in Fairfax, VA. Known for its namesake, Great Falls National Park, Great Falls is full of beautiful natural landscapes just minutes from D.C. Locals and tourists come from around the nation to see the Potomac River’s thundering white foamed waterfalls of Great Falls Park. Outdoor options are unlimited with hiking, biking, and running trails. If you’re looking to remodel your Great Falls home learn more about how HB Home Services can help you. Learn more about our home improvement services in Great Falls, VA.
McLean is a popular destination to call home on the border of Washington D.C. for dedicated members of Congress, diplomats, and high-ranking officials. Calm neighborhoods are paired with ease of access to endless shopping, dining, and entertainment found in Tyson’s Corner and Tyson’s Galleria. HB Home Services has been serving McLean and surrounding areas since 1978. We have the experience to work with various remodeling and home projects. Learn more about our home improvement services in McLean, VA.
A quant smaller town of Fairfax County, Oakton offers a rural escape from the hustle and bustle of neighboring city life. With spacious parks and close-knit neighborhoods, Oakton is what 34,000 residents call home. Family Owned and Operated, HB Home Services offers all the services you need to remodel, extend, or renovate your dream home. Learn more about our home improvement services in Oakton, VA.
Conveniently located north of I-66, Vienna gives easy access to Washington D.C. and the rest of Northern Virginia. Vienna is a hilly suburb that is well known the Wolf Trap National Park for the Performing Arts which offers classes in the arts. It is also a popular venue for performances in dance, music, and theater. Nearby Tyson’s Corner Mall provides a nice selection of cuisines and shopping experiences. Vienna is a mix of older colonial style buildings with newer communities being built every day. This suburban area is surrounded by wooded areas and vacant land lots waiting to have a new home built on them. HB Home Services unmatched craftsmanship and efficiency can remodel or renovate any home. Learn more about our home improvement services in Vienna, VA. Located a short distance away from D.C. Falls Church is a community for those who want to be able to commute to D.C. but don’t want to be in the Nations Capital. Falls Church is a great area that is close to everything, but much more affordable. The HB Home Services team shines from skill and experience. We are extreme professional and love to show it. Any contracted work is completed in a clean, courteous and professional manner by hand picked professionals. Job sites are cleaned daily and all debris is removed. 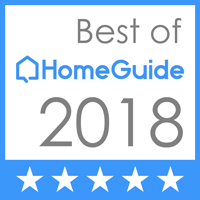 Learn more about our home improvement services in Falls Church, VA.
Fairfax County wouldn’t be the same without Annandale. Downtown is known as Koreatown, with just under 1,000 businesses owned by Korean or Korean-Americans. Northern Virginia Community College’s oldest and largest branch is established in Annandale. A great place to visit but even better to live. Residents continue to improve their homes and lifestyle with HB Home services. With our unmatched craftsmanship and family-oriented customer service you can remodel your bathroom, kitchen, or basement. Learn more about our home improvement services in Annandale, VA. Both a city and a haven outside of Washington DC, Arlington, Virginia is the best of two worlds. Easy access to the nation’s capital and entertainment while just as close to scenic walks in nature and quiet neighborhoods. Homes in this area are beautiful but many are older and need repairs and remodels. HB Home Services specializes in kitchen designs, basement remodeling, and even window replacement. Learn more about our home improvement services in Arlington, VA. Outdoor recreation in Burke VA is centered around Burke Lake Park which boasts a almost 5miles jogging trail, campsites, 3 different types of golf courses, boat rental, and more. Snug just outside of Fairfax city, it consists of several notable planned communities such as Burke Lake Meadows, Lake Braddock, Signal Hill, and Burke Station Square. Locally owned and family-operated, HB Home Services can help make your dream bathroom, kitchen, or basement remodel happen! Learn more about our home improvement services in Burke, VA. Noted for being the historic battlefield during the Civil War, Manassas has famous trails and artifacts along Bull Run Creek as part of the Manassas National Battlefield Park. Old Town Manassas hosts one of the largest fireworks displays in the area with festivals year-round. Manassas is home to several small business owners who continue to keep alive the ‘small town along the train-tracks’ feeling. While new homes are popping up in Manassas every day, many residents are keeping their homes modern with custom renovations. HB Home services has been working on bathroom, kitchen, and porch renovation since 1978. Learn more about our home improvement services in Manassas, VA.
Segway-ed between I-95 and Prince William Parkway, Woodbridge VA is one of the many ideal suburbs of the Washington DC metro area. Part of Prince William County, Woodbridge makes it’s mark with Potomac Mills shopping mall, the largest outlet mall in Virginia. As for getting outside, Rippon Lodge, the oldest house in the county and Leesylvania State Park provide miles of hiking and boating services. While at home, though, we want you to be able to relax and have fun. HB Home Services can help with everything as simple as replacing doors and windows to a full kitchen or bath renovation. Learn more about our home improvement services in Woodbridge, VA.
Centreville is 24 miles West along I-66 from Washington DC. This area is known for its rural beauty and balanced center of suburban and rural aesthetic. Centreville is a designated area for locals and tourist to come and enjoy its beauty it has to offer. Home of the Winery at Bull Run and other vineyard locations, as well as the well-known Cox Farms that is great for families and friends. Our team always dedicates time to delivering top of the line service to Centreville and all of Northern VA. Learn more about our home improvement services in Centreville, VA.
Tysons is a leading example of progress and development that continues to find innovative ways to grow. With Tysons Corner Center at its heart, businesses thrive in and near the high-traffic mall. The newly built Washington Metro Silver Line stop is already a hub for buses and commuters. While new homes are frequently being updated in Tysons, many residents are keeping their homes modern with custom renovations. HB Home services has been working on bathroom, kitchen, and porch renovation since 1978. Learn more about our home improvement services in Tysons, VA.